Article on Liam Lynch and his death on the 10th April 1923 (last in a seven-part series). As far as Lynch was concerned, he was merely fighting fire with fire. When Éamon de Valera warned him that "an eye for an eye is not going to win the people to us, and without the people we can never win," Lynch was unmoved. 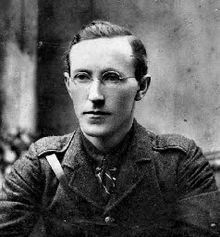 "We must adopt severe measures or else chuck it at once," he replied, stressing that, up to now, the Anti-Treatyites had been blameless: "IRA in this war as in the last wish to fight with clean hands." It was the enemy who "has outraged all rules of warfare", and were consequently responsible for everything that ensued. As far as I had the opportunity to observe at first hand, the military situation was going very badly. Nothing, of course, was happening north of the [Ulster] Border and between Dublin and the Border, except for Frank Aiken’s men, the IRA had virtually ceased to exist. I told him that I thought the Dublin Brigade was so reduced in personnel as to be militarily ineffective. Not that Lynch took heed, as convinced as ever that victory was just around the corner. It was if he had, thought Andrews, "developed some mental blockage which prevented him from believing that we could be beaten." This denial was in full effect at a meeting with his officers in the Cork and Kerry brigades in February 1923. The overwhelming consensus was that, with the state the IRA was in, they would not last the summer. The one dissenting voice to this pessimism was Lynch's, who assured the others that he had "reviewed the position in the rest of the country and although the position in the South was pretty bad he felt the situation in general was very good and held great hopes for the future." Afterwards, Lynch appeared more offended that his officers would speak up so than worried at what they had to tell him. One result from this meeting was an agreement to hold a session of the IRA Executive soon to discuss what to do next. It was something Lynch had been hoping to put off, wary that the others would push forward a compromise, the last thing he would ever agree to. Then followed a tirade of abuse from Barry mainly directed at asserting the superiority of his fighting record. Barry’s peroration was dramatic: ‘I fought more in a week than you did in your life.’ Liam simply said nothing. Having emptied himself of indignation, Barry withdrew, slamming the door. Still, Lynch was proving adept at getting his own way. After meeting with Barry again, the two withdrew with no change to IRA policy, which was exactly what Lynch wanted. This stonewalling was repeated at the subsequent IRA Executive conclave in March 1923. When Barry raised a motion to cease military operations, it was defeated by six votes to five. Lynch had provided the deciding vote. For want of anything else to say, it was agreed to hold another such meeting on the 10th April. 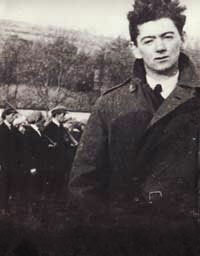 Lynch was on his way to this when he and his party were confronted by Free State soldiers on the Knockmealdown Mountains. A shootout ensued, with the Anti-Treayites doing their best to flee across the mountain of Crohan West amongst a hail of bullets. The firing had abruptly ceased, as if both sides were holding their breath, when a single shot rang out. Lynch fell. "My God! I’m hit, lads!" he cried. With nothing left do, the others fled. The Free State soldiers found their victim lying face up on some shrubbery, his clothes dark with blood. "Are you de Valera?" one of the soldiers asked. "I am not," he replied. "I am Liam Lynch." Upon further inspection, two bullet wounds on either side of Lynch's body's, between his rib cage and hip, caused by the same bullet tearing through. He died later that day of shock and haemorrhaging. "The death of Liam Lynch removes one of the most important – if he was not actually the most important – of the leaders of the Republican party," wrote the Irish Times, which described him as "the most obstinate and unflinching of the Government’s opponents."